What is Magnet Fishing? | IPES International, Inc.
Have you ever wondered what might be located at the bottom of a pond or lake? There is probably everything from old bicycles to valuable jewelry just sitting there waiting for someone to find them. Magnet fishing has made it possible for people to use retrieving magnets to search for metal objects that have found their way to the bottom of large bodies of water. These magnets can latch onto objects weighing up to 500 pounds! Here are some people who are benefiting from magnet fishing. There’s nothing worse than going on a fishing trip or boating excursion and losing a piece of expensive fishing tackle or a set of keys in the water. Traditionally, there has been no way to try and get these items back once they go overboard. But magnet fishing with retrieving magnets makes it possible. All you need to do is send these magnets down and they’ll more than likely find whatever it is you lost in a short amount of time. When working near bodies of water, it’s not uncommon for construction workers to lose building materials and tools in the water. They can find these things quickly by using retrieving magnets. It doesn’t matter if the objects fell straight down into the water or went down a well or hole. Retrieving magnets are designed to make it easy for them to get them back in no time. There are some people who have turned magnet fishing into a hobby. They go out on a boat in a body of water, send their retrieving magnets down, and see what they can find. You might be surprised by what the magnets bring back with them when hobbyists pull them out of the water. There are so many treasures just waiting to be discovered at the bottom of most bodies of water. Would you like to give underwater retrieval magnets a try? IPES International can provide you with the magnets you need to retrieve any metal objects from water. 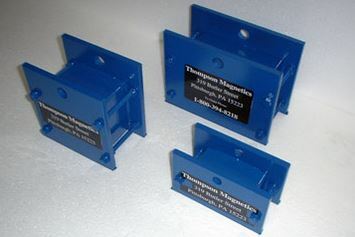 Call us at 877-781-4660 today to order our magnets.